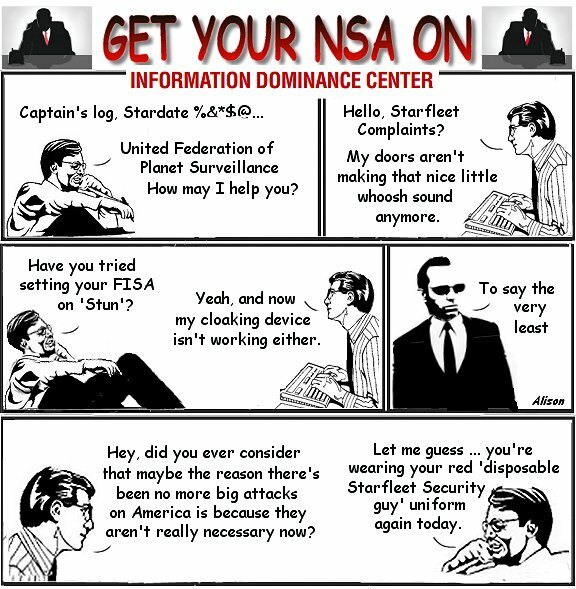 See the NSA slides at both links above. The NSA has deliberately weakened encryption on the net by, among other attacks, introducing encryption vulnerabilities and an NSA backdoor into the standards set by the National Institute of Standards and Technology, and used by banks, corporations, governments, and individual people to protect sensitive data sent over the internet. “Canada’s Communications Security Establishment ran the standards process for the international organization, but classified documents describe how ultimately the N.S.A. seized control. Update : CSEC responds to Jesse Brown at Maclean’s and declines to deny that they were “finessed” by the NSA into betraying global encryption standards.